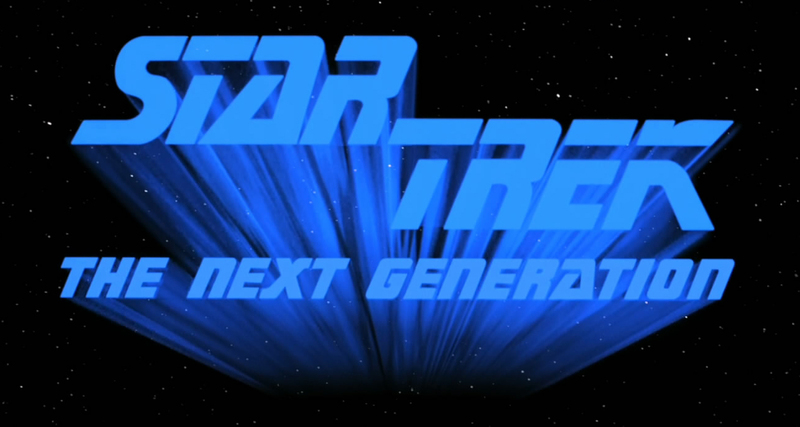 It's not the first on my list to watch for a second time but my full re-run through of Star Trek: The Next Generation has brought me to "The Game". What becomes quickly apparent is that they must have been saving the budget for "Unification" which follows this episode. 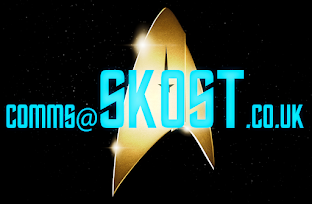 Most of the installment is ship-based with only the pre-titles and any shots of Etana Jol being off the Enterprise - and these are in close quarters head and shoulder viewscreen clips so budget for that set wouldn't have been a massive drain on the available funds. So, what are we here to look at? 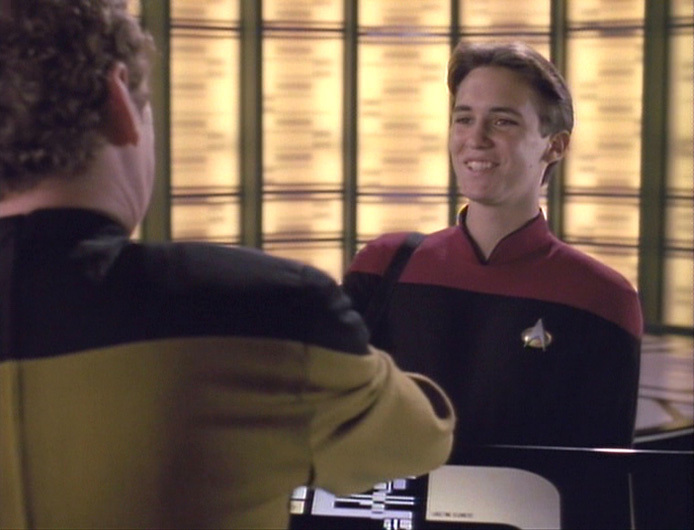 It would be hard to discuss this episode without mentioning two points - addiction and the return of Wesley Crusher. Both are at the forefront of "The Game" which has a single A Story but neither makes it any more impressive. I sat down to watch this when I was probably about 14-15 years old and it certainly doesn't seem to have improved with the passing of time. It's great to see Wes back don't get me wrong - and as the lead character - but the concept of the episode seems fatally flawed almost from the onset as everyone seems to want to over-induldge in this fleeting return and forgot to add any real depth to it. 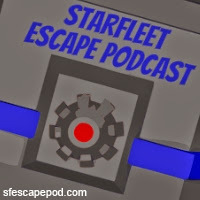 Starfleet Academy is sprinkled over with only a few coy references (including Boothby who we will see later in the season) and some "hilarious" antics involving that cheeky chappy Mr Crusher. 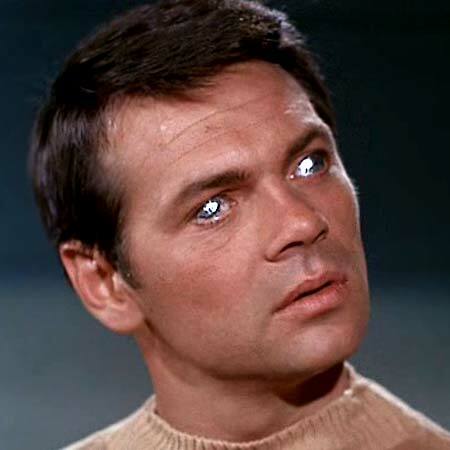 If that's all the Academy is about was it really worth the Borg/Klingons/Romulans et al even bothering with Sector 001? They could've just beamed a load of banana peels or buckets of shaving foam to HQ and everyone would have fallen about laughing...apparently. 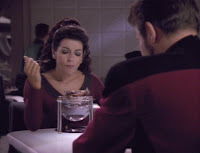 Riker: Doesn't it taste good? Troi: Of course it does but it's not just a matter of taste. It's the whole experience. First of all you have to spoon the fudge around the rim, leaving only the ice cream in the middle. Then you gently spoon the ice cream around the sides like you're sculpting it. Relish every bite - make every one an event and then, with the last spoonful, close your eyes. Urgh. 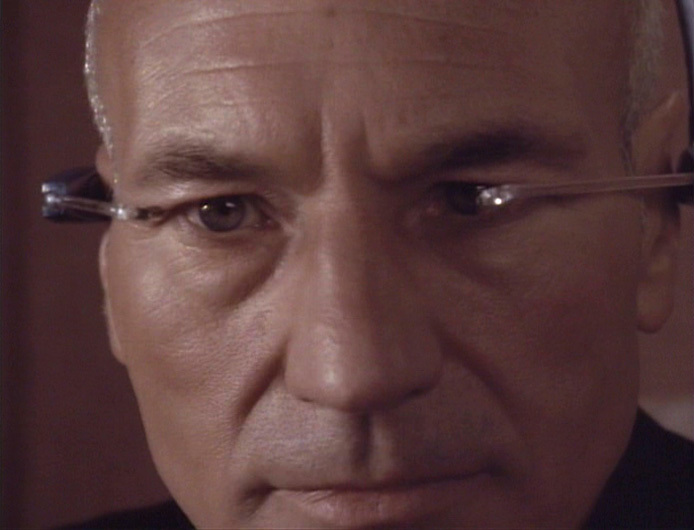 Sadly this is one of my top three most cringe-worthy moments of TNG. Equally upsetting for Troi fans is the fact that I also accredit spots two and three to the Betazoid counsellor. 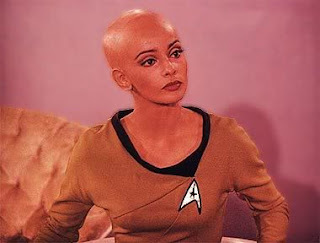 The first being her sensing of "great joy and happiness" from the alien lifeforms at the end of "Encounter at Farpoint" and the second as Troi's blubbing at the end of Star Trek Nemesis following Data's death. 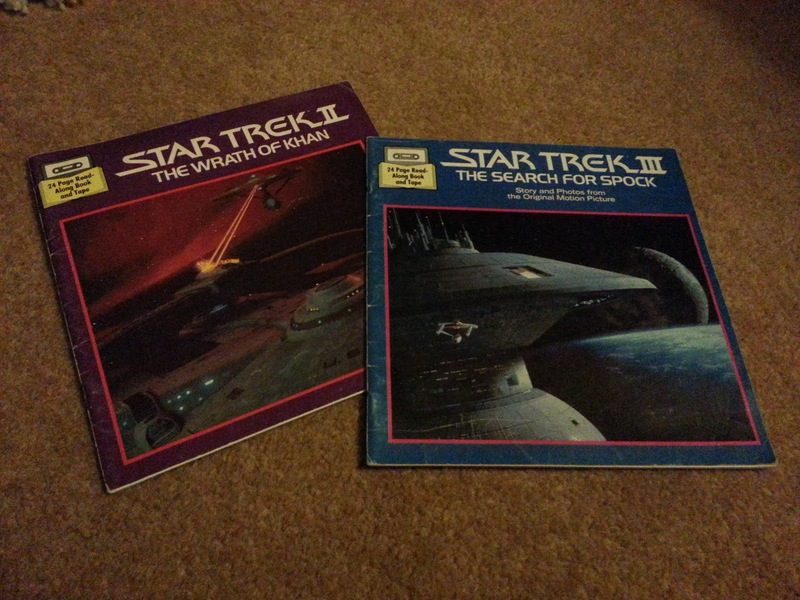 I would ease off a little if she wasn't involved in the travesty that is "These are the Voyages...". Apologies Ms Sirtis but that's just my opinion. While Troi, Geordi and probably a good proportion of the crew would be susceptible to trying the game I just don't get why Picard or Worf, for example, would readily have a go. The "reality" factor that only Wes and Lefler would not play is pushing it to the limit and this is where the whole premise seems to break down. Suddenly the entire crew is playing Jol's game and if this is the case who is actually controlling the ship?! 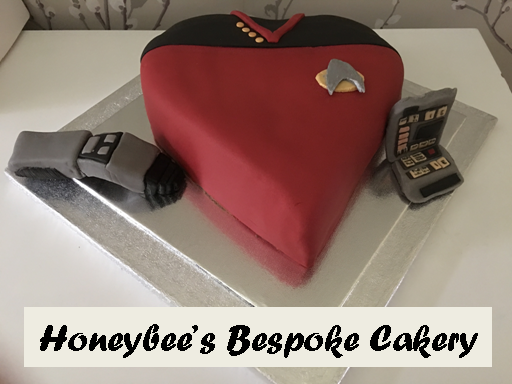 Why would the captain or Worf even want a go? Surely this is a child's plaything for the Klingons and brings no honour? If it's that easy to get addicted the Empire must surely be the next target?! OK, I understand that this is an episodic analysis of addiction (the game, Troi's chocolate thing) but it takes it to the very edge of plausibility which is then wrapped up with a flashing light in a matter of seconds with the reappearance of Data. 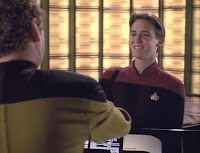 Again Wesley is lucky to be on the ship as he finds the breaks in Data's circuitry that EVEN LA FORGE can't find? Seriously? So does this mean that actually the Academy is breeding super-humans who play practical jokes most of the time? Very confusing and inconsistent in my opinion. There are much better examples of addiction and its results namely the actions and loyalty of the Jem'Hadar in Deep Space Nine and I would refer readers to the episode entitled "Hippocratic Oath" in particular. (Am I being too harsh here???) I'm sure by this point we can see that this episode is hanging by a thread. Notably this is one of the few occasions where Trek steps a little close to the innuendo line and that's not just the aforementioned chocolate scene. There's the undertones of the Wes/Lefler relationship but the biggest offender here is the titular game itself. So, what exactly is the prize when you complete a level?! Wes discovers it's affecting the reasoning sections and pleasure centres of the brain. I will say no more. I do get the way in which Etana Jol chooses to take control of the Enterprise and then use the crew and ship to conduct acts of warfare. It's a neat little trick and certainly a new spin on the take-over scenario we would potentially predict to see. Even after is all revealed and Data saves the day with some assistance from Wesley, I still can't bring myself to feel any differently how I did back in the 90's on its first viewing. "The Game" is average and it focuses too much on a character who left a year previously in a fairly decent segment of the pretty good fourth season. Given the option I would jump at a chance to rewatch "The First Duty" over this. 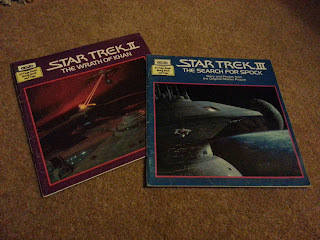 It's a far superior Wesley installment post-"Final Mission" and most definitely a preference to "Journey's End" (I intend to cover both but this may be as a single blog about Crusher Jr). This isn't to say that having Mr Crusher back on board for a jaunt and the chance to get the girl isn't a good thing and in all truth it probably helps to bring this story out of being quite dull - indeed, Jol's plan would actually have succeeded if he hadn't! 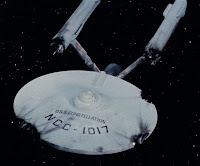 So much for the best crew in the fleet - after what they've been through, this kind of "attack" should surely have been picked up within a matter of seconds!!! Perhaps the question to round off this blog should be around whether or not this episode manages to tackle addiction effectively. I would argue no because of the way in which Wes and Lefler are the only two left when surely they would be more susceptible to giving the game a go. Another point to raise here is the fact that not only are we seeing a story revolve around one returnee in the form of Wesley but he's accompanied by a character who was previously a bit part in "Darmok" and is never seen again although Ashley Judd would go onto much greater things following her appearance here. Notably there was the hope to bring her back for "The First Duty" but that didn't work out which is a shame as she could have become something of a recurring character in the Barclay/O'Brien/Ro/Ogawa mould. Perhaps it is with a retrospective eye that we can be picky around this character because of her limited (although it wasn't known at the time) appearances. Could she have been a possible Wesley replacement for the final two years? We know that originally the character Wil Wheaton played was going to be a girl! Sadly it's one of Trek's failures to grasp the concept of addiction here and really explore it effectively when this could have been a great opportunity to utilise Troi in a more prominent manner. This is surely the kind of plot that the counsellor would be perfect for but once again she is sidelined and this time for two kids. Also there is the fact that the game device is clearly a call-centre headset doesn't help its argument. 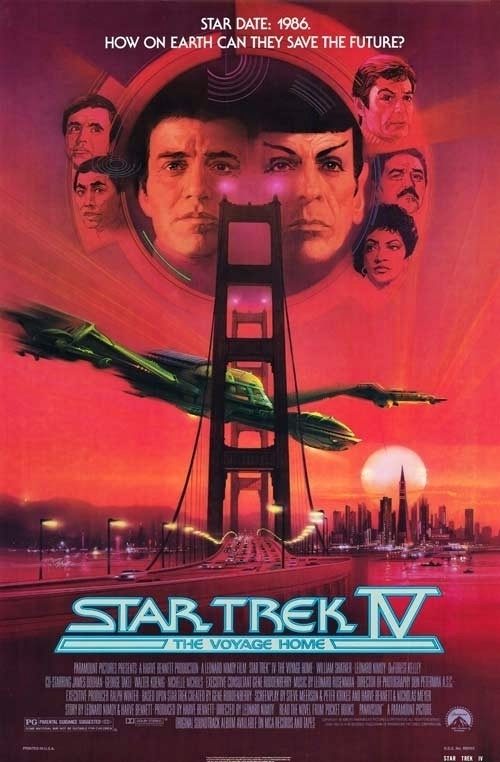 It does feel like a space filler of an episode and that can only be justified even further by the fact that "Unification" follows hereafter and they spent up on filming outdoors for "Darmok" but for light entertainment during what has been a heavy start to the season it helps break up the enveloping nature of the greater stories surrounding it. I'm fully intending a piece on the seminal two-parter and will probably cover the lesser episodes following it as part of a Season Five review when I finish off the box set after Christmas. (Half-way through so another month should nail it). 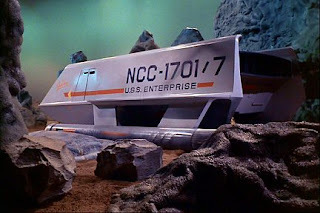 I simply don't want to bore a lot of people with ramblings about Trek episodes week in week out. If there are any specific episodes you'd like to debate/see a discussion on please drop a note here/subscribe etc and I'll take a look. Anything pre-season five can be done pretty much straight away and I'll bookmark anything ahead in six and seven! Thanks also to everyone who has read this. Feedback is appreciated! It's all happening at the moment isn't it? 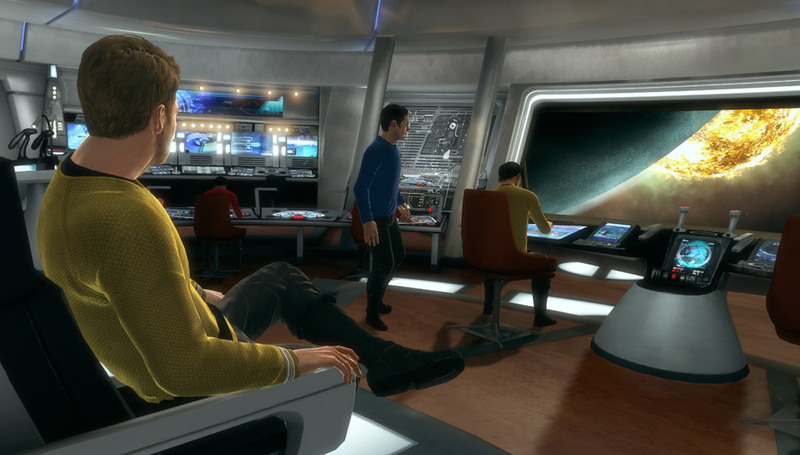 Posters, trailers, stills, rumours and now the announcement that Star Trek The Video Game will launch on April 23rd 2013. For those who can't wait that long to be a part of the experience, pre-ordering commenced on Friday 21st December 2012. Pretty interesting huh? Worth a pre-order? Probably is if you're going to be buying it anyway. Thing is for me, I'm a bit of a film/TV tie-in skeptic. History is not kind in these situations and I welcome you to check out Knight Rider, Dukes of Hazzard, Harry Potter, Transformers...etc etc as evidence (I'm not including non-Michael Bay Transfomers as they were fairly decent). Apparently this game has already won awards at E3 however the official game website seems devoid of any mention of awards except in relation to JJ Abrams leading me to think this may be an error on the part of startrek.com. What is it with the JJ Abrams universe and jumping off stuff?! In the first film it's skydiving onto Nero's drill and in the second it's Spock jumping off a building PLUS someone zooming through a spacefield. 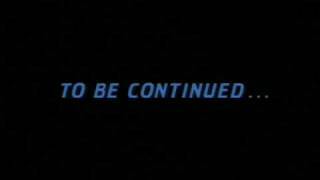 I do hope this isn't going to be a recurring theme of the alternate Trek universe. 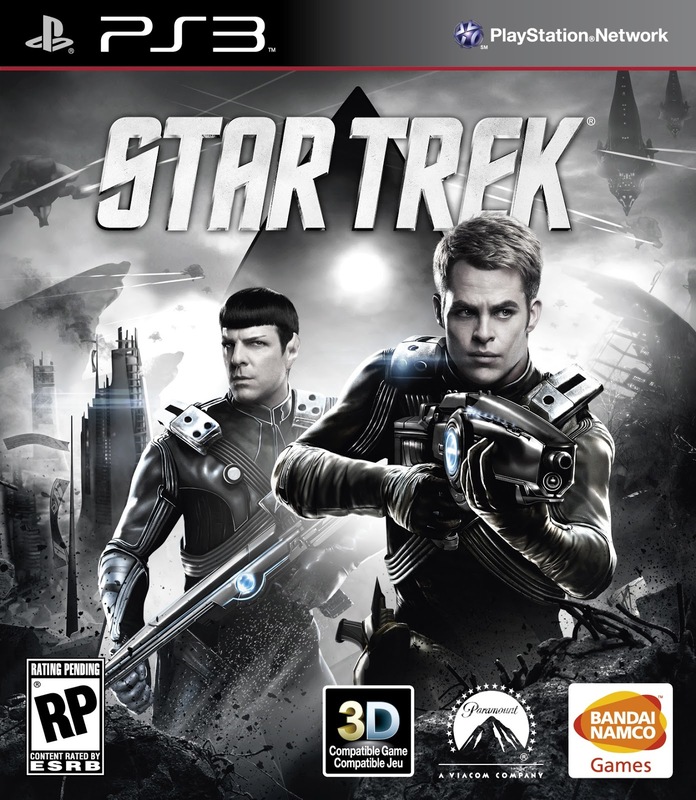 OK, There's Kirk and Spock as the main playable characters but the graphics really don't instill me with ANY confidence that this is going to be top-quality in line with Call of Duty, Skyrim or Grand Theft Auto V which will be out by the time it debuts. In fact it looks like a pretty standard third person shooter with possible attempts at Tomb Raider-style climbing pieces. There's no shots aboard the Enterprise and in fact there are only two shots of the ship within the trailer - right at the beginning and briefly at about 47 seconds in. There appear to be only a couple of distinctive sets here - an icy alien world, some form of space vessel (and maybe more than one). There's also a nice shot of some kind of fleet moving through a wrecked environment. It all looks a bit "samey" which is why I've had top rely more on the range of screen shots from the game's website. They seem to show external space battles, scenes on the Enterprise and the characters moving through the alien worlds that are part of the game. 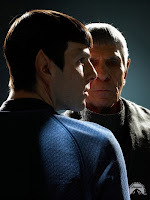 The only piece of dialogue within the trailer indicates that this is set after the first film at least with mention of "New Vulcan" which could also indicate that a certain Spock Prime could be included as we know this is where he ended up to live out his days. 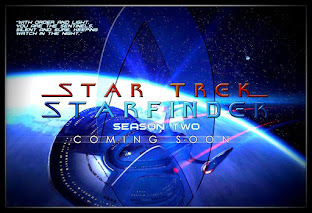 What we can confirm is that the 2009/2013 movie crew (Kirk, Spock etc) are all lending their voices to this new game. 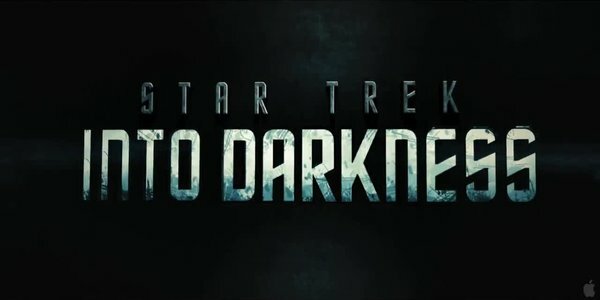 Frankly this is even more cryptic a trailer than the one for Star Trek Into Darkness. 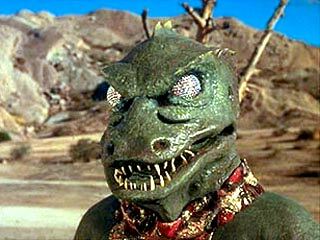 I would think that the ship goes to New Vulcan to sort out some kind of invasion/attack/mystery which leads to you playing as Kirk or Sock to save the Vulcans and the day from what has now (as of January 2013) been revealed as the Gorn - one of the best and most fondly remembered Trek enemies ever! 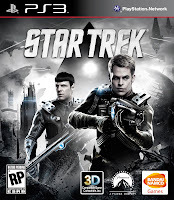 Tragically the gameplay looks pretty basic but it's a rare opportunity to actually play as the Trek characters in a modern style of game - while I won't talk about them here, my The Life of Trek series will touch on my previous experiences with Star Trek PC games over the years as I look at how the show and I have become entwined over the years. In conclusion the trailer does give us Trek, explosions and indication of more by providing less and then forcing you take a look at the game site for some snippets of information. 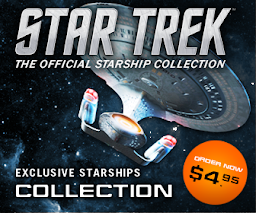 At the moment it is lacking in content and the page on startrek.com was significantly better even if it was just to let us know about the preordering situation. I will more than likely be purchasing this title as long as the build-up continues to prove that a lot of work has been done to make it look more fluid and less blocky than this brief trailer suggests. Good luck to Bandai Namco and Paramount, I hope the hype and the "awards" indicate that this is going to break the mould of tie-ins and provide us with some excellent and lengthy game-playing. Please don't make it JUST a shooter with a bit of ledge-hanging if you're listening. Put some thought into it so we have something more to do than point, click, run and fire. 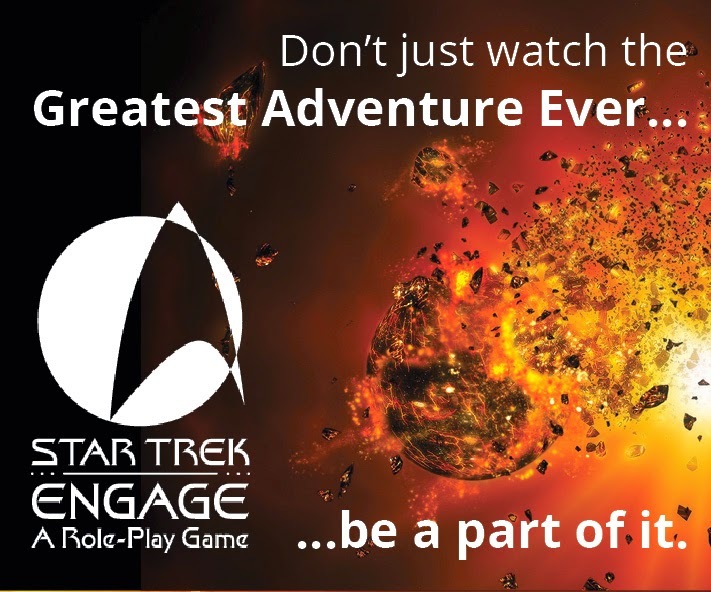 Trek fans will want a game that makes them THINK. Overall - the jury is definitely out. "There is greatness in you but there is not an ounce of humility. You think that you can't make mistakes but there's going to come a moment when you realise you're wrong about that. Then you're going to get yourself and everyone under your command killed." As last time I'm not here to rate the trailer but to look at what it tells us particularly against the teaser we saw earlier this month. I'm of two minds if the Admiral is warning Kirk or Harrison here. It would make sense either way - Kirk is putting his crew in mortal danger and could lose them all (cue TWOK-esque hand to hand on glass shot) or this is a speech from early in a prologue indicating what leads Harrison to his vengeance. Overlaying a shot of Pine as Kirk just as the Admiral is talking looks like a classic distraction technique to move the audience into thinking it must be Kirk that he's talking about. Nice to see that we're treated to a shot of all the cast including Chekov although did anyone else notice he's wearing Roadkill Red or was that just my feed playing up?! This would also hint that Pike is more likely to be talking about the Enterprise crew than Harrison and before we get to know the director's name (if we hadn't forgotten) we're shown the ceremony and fly-past again. 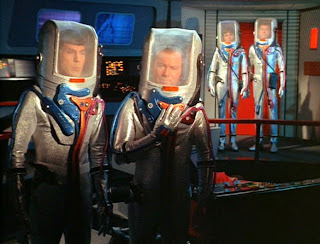 We can also add in there some extended scenes of Kirk and McCoy running through the red alien growth stuff. Not exactly giving up much in the way of plot Mr Abrams!!! 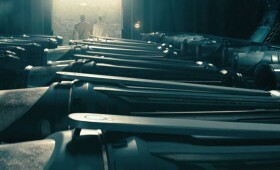 Big Question is; is this ceremony from the beginning and linked to Harrison's actions/treachery which motivates him for the movie or is that, the Federation flag-folding and the panning shot of rows of coffins (bit like Skyfall there) from the bitter end of the adventure and we may actually see one of the cast bite the proverbial dust? (cue TWOK-esque hand to hand on glass shot - and yes that's its second mention in two paragraphs) Could they even be commemorating Harrison? 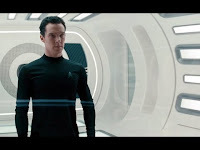 Well, on closer freeze-frame (above) I think these could be stasis pods in a warehouse - are we seeing part of a prologue (Eugenics War) and this would suggest that it IS Khan??? Harrison IS just a codename (see previous blog on The Trailer Into Darkness)...or is this the end result of the film in a kind of Raiders of the Lost Ark warehouse moment? Just to drop a spanner in the warp drive as well, anyone notice the colour of the shirt on the nearside of that glass in the TWOK homage (below)? It's not yellow...nor is is dress uniform grey...it's black. Who else wears black in this trailer.....? 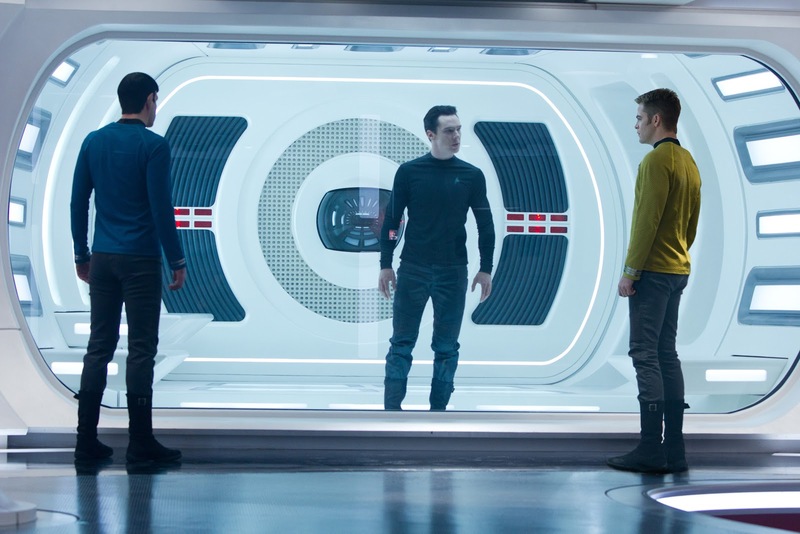 What a twist to have Spock on the other side of the glass - is Harrison ultimately the person that saves the Enterprise and the memorial IS for him?! I NEED TO KNOW!!! This trailer also has two distinct sections defined by the monologues from Pike and Harrison, separated by the "From Director JJ Abrams" moniker. The former sets the scene, warns us of the threat to come and then we see exactly what that is. "You think you're safe....You are not"
Immediately Cumberbatch drops into shot and the photo from earlier in the week is expanded so we see Harrison brig-bound. I'm thinking it might be the Enterprise returning him to Earth. Is his crew dead and he's the cause? This looks early on and would suggest an escape attempt which could lead to the Enterprise taking to the water - also slightly extended as per the Japanese trailer. This is probably all wrong but the pieces are there and in my mind it works that Harrison ditches the ship and then goes on a wrecking spree. Mind-on-Possibility-Overload so they'd better be sending us another less convoluted trailer between now and Summer 2014!!! Dr Who/Kidulthood actor Noel Clarke finally gets a blink-and-miss confirmation that he's in the film but doesn't give anything away as to what his role is however I might hypothesize that he is some kind of accomplice to Harrison. More interestingly what is the item he drops into the glass? 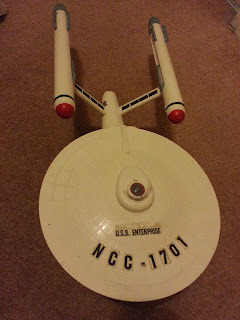 I can make out a "K" symbol on the bottom of a white cylinder but that's it, Trek fans. There's a lot of space bound suited action with some unusual looking ships and serious explosive work going on including more of the fire planet from previous teaser pics and the first trailer. 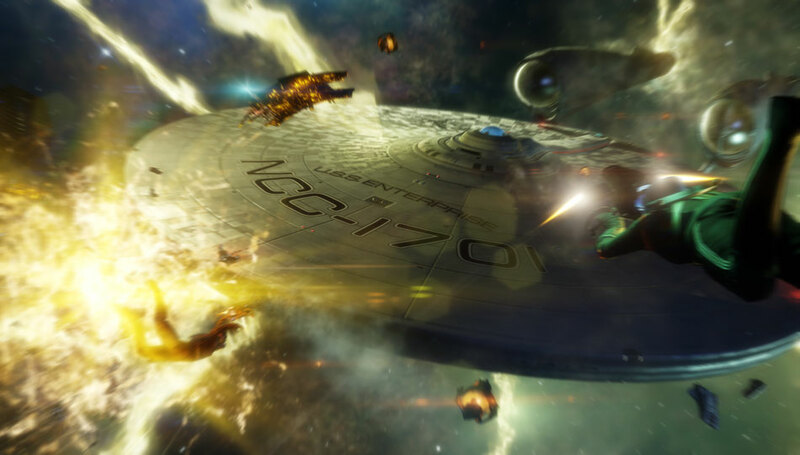 What is this all about and maybe this indicates that it's just a Starfleet vessel crashing and not specifically the Enterprise if rumours that the fleet gets trashed by Harrison are to be believed. 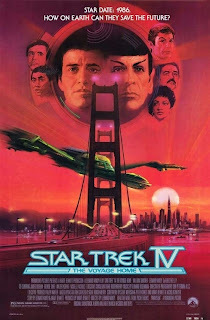 What is Spock jumping off? What is Kirk firing at - notably his third distinct costume change from Starfleet yellow, combat clothes and what appears to be the dress uniform (no black though) as he shatters glass with a rifle shot (looks nothing like that "Where No Man Has Gone Before" version though...actually a lot cooler). 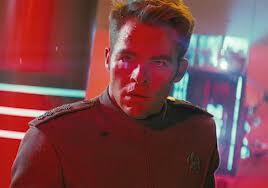 Oh and there's some flashes of fisticuffs from Kirk and Harrison for good action measure. Phew!!! Cue credits and the wait for our next taster installment!!! NOTE - as of the evening of December 17th this trailer was removed at the request of Paramount from the internet. What is it that they don't want us to see??? It was available for about four hours before being pulled. 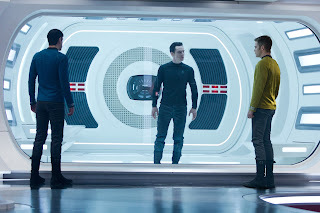 So yesterday we were treated to a new piccie from Star Trek Into Darkness featuring Kirk, Spock and.... John Harrison?! Now far be it from me to comment that JJ Abrams is the master of deception (see Lost) but are we convinced that this is Cumberbatch's character's real name? I see terribly little point postulating here whether it's code, he's still actually Khan or Gary Mitchell or whatever. 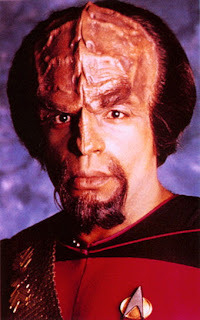 To be fair the rumours of Carol Marcus and Klingons that have been circulating must surely be part of the JJ Rumour War Machine gearing everyone into a frenzy for summer next year. No doubt between now and then there will be more snippets from the movie and one or two longer trailers, rumour overdrive - and how lucky was Japan with longer clips AND that slobberworthy additional scene reminiscent of TWOK in their trailer? Nice work Mr Abrams. 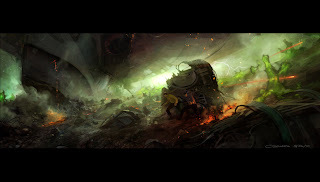 However, let's take this latest image in the context of the trailer and what we already know. 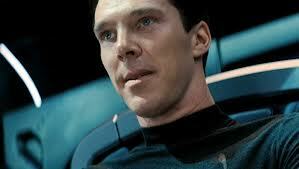 This firmly cements the point that Cumberbatch is in Starfleet black at some point. I'm going to stick my neck out and suggest that this looks like it's from the earlier sections of the film. 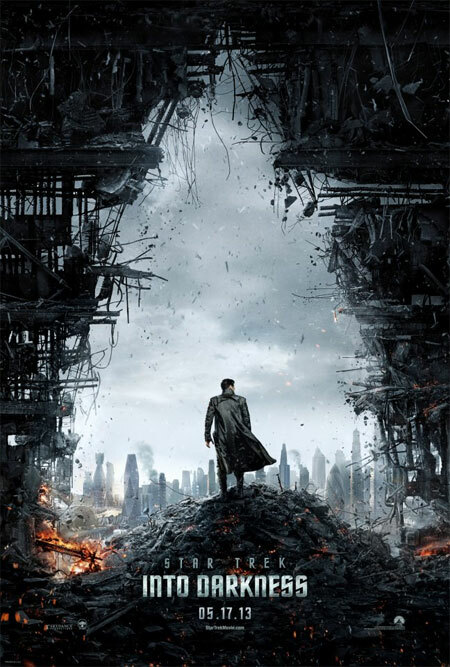 Does this suggest an escape and then Cumberbatch is responsible for the crashing of the Enterprise? 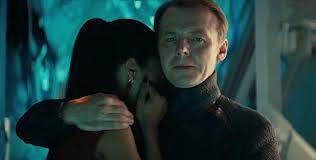 Of course that might actually be another Starfleet ship and not the Enterprise hitting the drink! 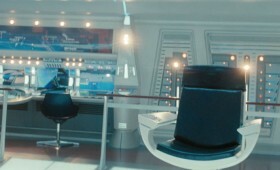 On a side note, great to see the brig back in Trek. 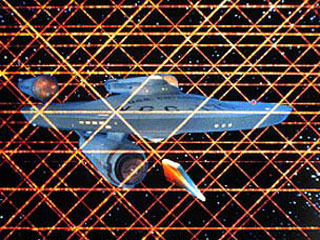 In keeping with the IKEA bridge its much more TNG than TOS bit I think we've already become more than comfortable with the concept of the alternate time line. As I've entitled this blog, So Who Is John Harrison? Starfleet? Another ship captain? A long lost Kirk associate? Carol Marcus' previous lover? (hence the conflict between Pine and Cumberbatch?) It's all good seeing the rumours but is there the brewing maelstrom that we are all going to be so disappointed when we find out the truth and full plot that the hype and speculation will be all we recall from this long, long, long awaited sequel? Moreover what roles do Peter Weller and Noel Clarke have in all this as we haven't seen either of them yet?! "You think your world is safe? It's an illusion. A comforting lie told to protect you. Enjoy these final moments of peace for I have returned to have my vengeance." 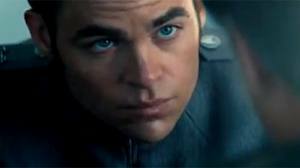 The narrative rolls and so the questions begin as Paramount Pictures and JJ Abrams Bad Robot unveil the brand new teaser trailer for Star Trek Into Darkness and my god does it whet the appetite for Summer 2013. It only seems like a couple of days since we were treated to the poster for STID (well actually it was only a couple of days) and while we're still reeling from that those cheeky monkeys have leaned in and slammed home a heavy right hook with 1 minute and 19 seconds worth of Trek ecstasy. Chris Pine, Zachary Quinto, Simon Pegg, Zoe Saldana, John Cho, Keith Urban all feature within the trailer so the crew is back (although I had a hard job spotting Anton Yelchin) along with Mystery Guest Number One in the form of Sherlock's Benedict Cumberbatch and Mystery Guest Number Two - who exactly is the blonde Starfleet character we see twice during the trailer? 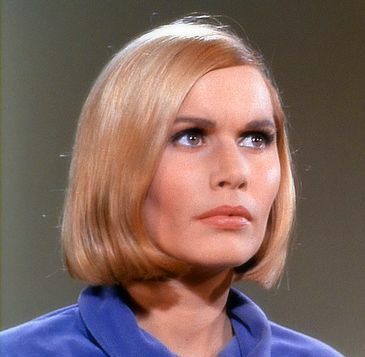 Suspicions on the latter have suggested it be some long lost Kirk flame or could it be Dr Elizabeth Dehner from "Where No Man Has Gone Before" which would mean - shock, horror, gasp - that Cumberbatch ISN'T playing Khan Noonien Singh after all but Gary Mitchell?! How about this - perhaps this is the one and only Carol Marcus? How 'bout that one? Or if we are seriously still thinking about the Khan possibility is it therefore Lt Marla McGivers, the future Mrs KNS? 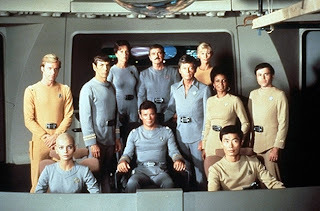 Some sort of award or induction ceremony I'm guessing at Starfleet and therefore pretty early on in the film. Could this actually be where Kirk and "Mitchell" first meet? and act as more of a prologue to the rest of the film? That's my guess at this point. 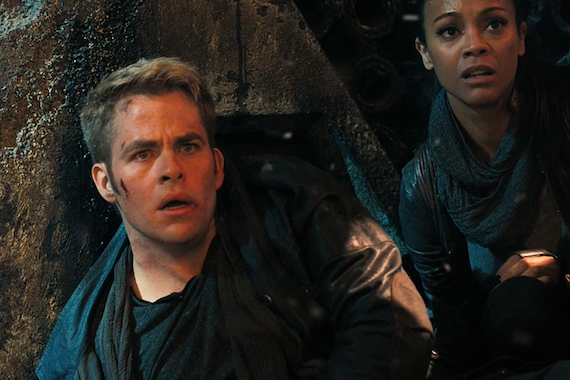 Then there's Kirk and possibly Sulu/McCoy running through some sort of red alien-type plant life. What this is about is anyone's to theorise at this point. I'm thinking it's at the end of some kind of action sequence as they both end up jumping off a cliff into the sea but why???? Aside from that apparently offworld activity there's also some more shots of the "fire world" hinted at in previous images with Kirk in one of the revamped spacesuits. How this fits is yet another mystery to solve - is this where they find Cumberbatch's character? Can't wait to find out!!! Then we get the arrival of the villain - who might not be as villainous as we first believed if we go by Cumberbatch's description of the character a few weeks ago? For starters that's a very big gun he's toting and how we get to this point is all still to be revealed and there won't be many Trekkers who will want to wait. Judging from the surroundings it looks like this could be from the layer stages of the feature in the buildup to the final and no doubt epic confrontation and fight scene. Now the big thing we all want to know is WHO the hell is he supposed to be? 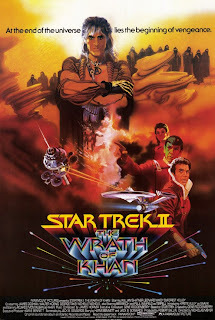 Khan was always the favourite but that would mean Star Trek 2 would be a rehash of Star Trek II which I find unlikely and would turn all of Trekdom against the reboot series forevermore. Montalban was Khan, is Khan and will always be Khan. Here endeth the lesson. I firmly believe that this rumour was spread to take fans off the scent from Day One. A good move and one that meant our fandom eye was taken off the ball. Adding Mystery Guest Two into the trailer does open up a lot of possibilities - it might even mean that this is a totally new character although his few lines of speech over the trailer suggest it's someone we know. The theatrical nature of the words might hint at a Khan-like villain but I now think this seems unlikely. I'll be gutted if it is Khan because I have a bet with a colleague of mine for a £1 that it isn't. Game On. Could the shot with Cumberbatch in black with the arrow head symbol visible more likely be from the aforementioned prologue section than from the main piece of the film OR does it indicate he infiltrates the Enterprise and have more than a little too do with the ship ending up in the drink that nicely caps off this epic teaser? The eagle-eyed will have spotted that in between all the nice bits there are one or two explosions and clear signs of Starfleet equipment and personnel flying about (on the ship?) so that would fit with the crash sequence at least. Now - that really sent a chill down my spine, seeing the warp nacelles emerging from the swirl and even more when there's a brief clip of her heading the other way into the waters. Wow -a starship operating within a planet's atmosphere and not a blue alert in sight? That's surely a massive contravention of Roddenberry's reason for having the transporters!!! 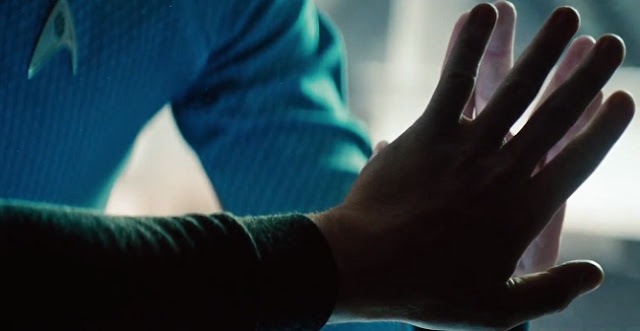 However, it does fit snugly with JJ's vision of the creation of the Enterprise as we saw in the first movie so a nice bit of (probably not 100% intentional) continuity that spits in the face of the Prime Trek universe. What we can be absolutely concrete on is that Earth is going to Hell in a handbasket and the crew of the Enterprise are going with it as we witness the beginnings of the destruction of a city at the very least. Most likely to my mind is that this is Starfleet HQ/the United Federation of Planets building crashing down. Let's be honest these teaser trailers do exactly that - tease - and with music not dissimilar to that which you would find in promos for Prometheus (that horn/trumpet note repeat is very distinctive) or The Dark Knight Rises, this brings the hairs on the back of your neck straight to attention. The clever bit is just trying to work out what order these bits SHOULD be in and the relevance of the bits we see. Hopefully here I've opened your eyes to a few suggestions and it might just spark one or two conversations off!